We are a locally family owned and operated auto repair facility located in the Lake Highlands area in Dallas, Texas. We specialize in all types of auto repair services for domestic and imports. At NorthLake Automotive, we are committed to earn your business and trust by making YOU the customer our Priority. We pride ourselves as having the quickest response times, courteous staff, and reasonable rates. 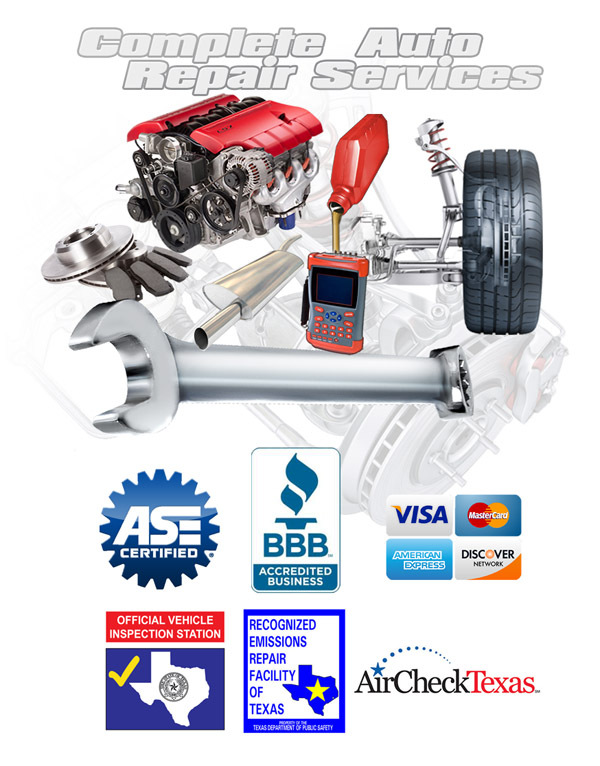 We provide auto repairs and maintenance services by highly trained ASE certified technicians. At NorthLake Automotive of Dallas, we are committed to providing extremely high quality auto repair services no matter how extensive or minimal the job. Please take a few minutes and browse through our site to learn more about us or to request any information.